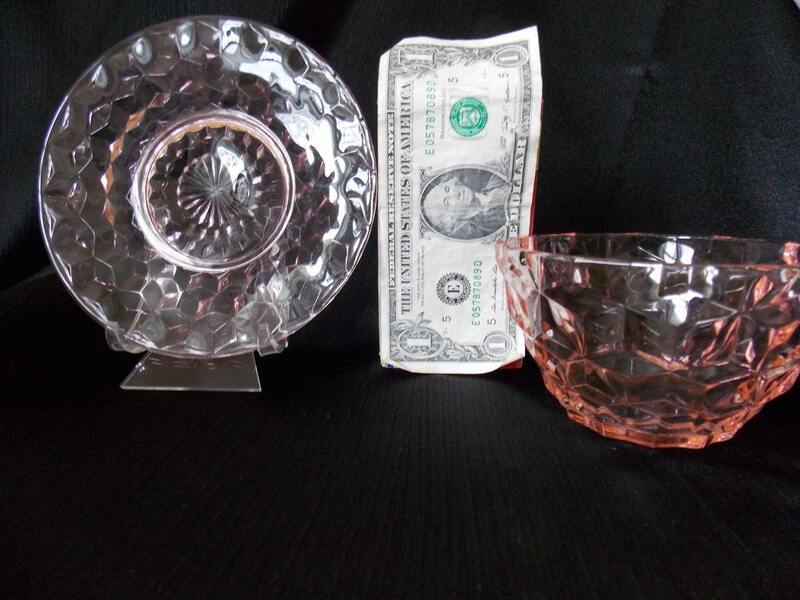 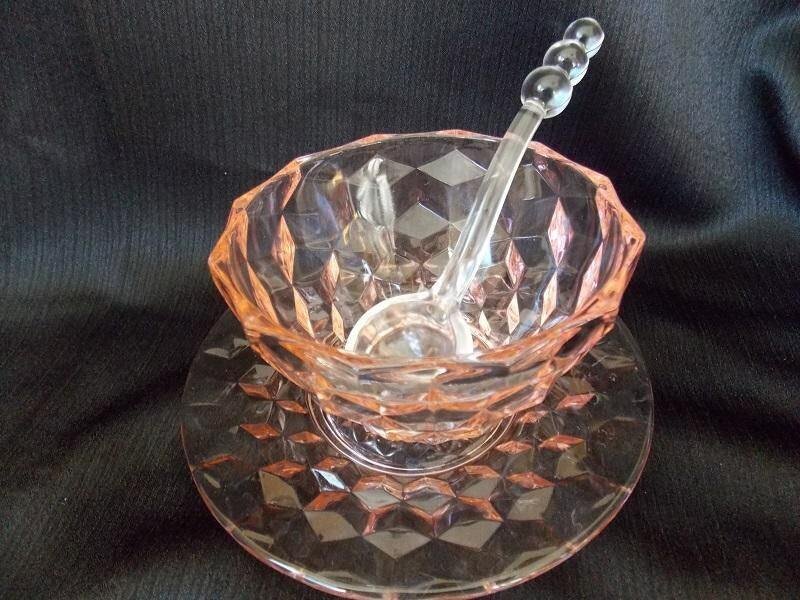 This vintage 3-piece condiment set consists of pink depression glass bowl and under plate and a clear glass ladle. 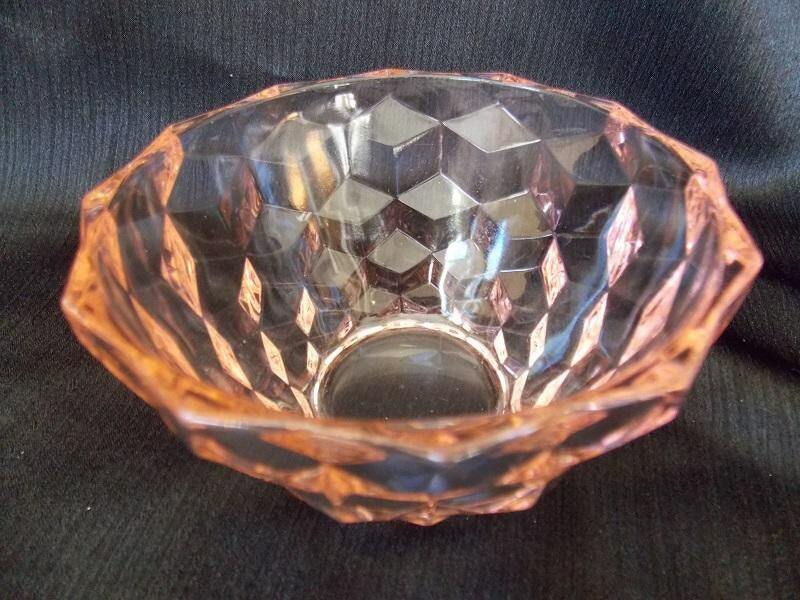 The bowl and under plate were made by Jeannette Glass in the Cube (Cubist) pattern. 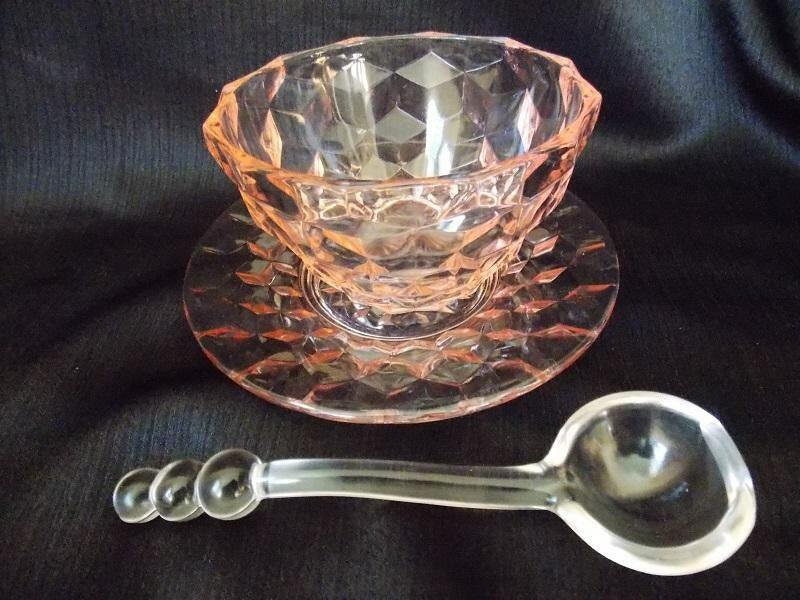 The clear three bead condiment ladle was made by Imperial Glass in the Candlewick pattern.